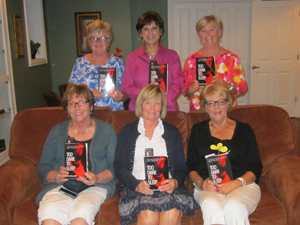 One of the coolest things to happen in the literary world is the renewed interest in book clubs and discussion groups. People of different backgrounds with different opinions reading and talking about books. What could be better? 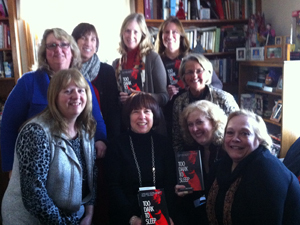 Connecting with the book's author. An author is nothing without readers and reader feedback is invaluable. That can come through reviews, blogs, or on-line chats. Even book signings. With technology, there is another great way to connect author and readers. 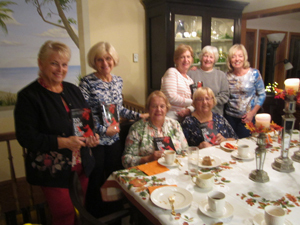 If your book club or a writers' group would like to spend an evening talking with me about my book or the writing process, all you need is a computer and a Skype account. A larger screen helps, so you may want to consider hooking your computer to your tv or any other big screen. 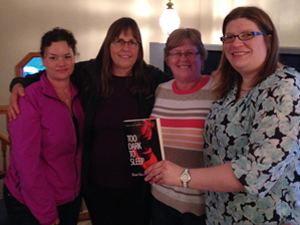 Be sure to check out the book club guide for Too Dark to Sleep for discussion ideas. 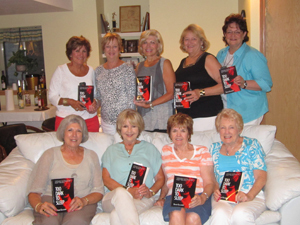 Want Dianne to visit your book club? Maybe your group is interested in learning more about the writing process or how an author navigates the publishing world. Drop and email at dianne@diannegallagher.net with what you're looking for and we'll work something out. 11 year. 88 books. 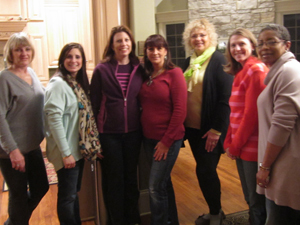 What an amazing group to spend the evening with... via FaceTime. 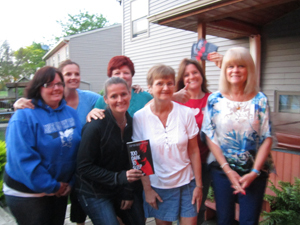 Palos book club! A funny, wonderful group. 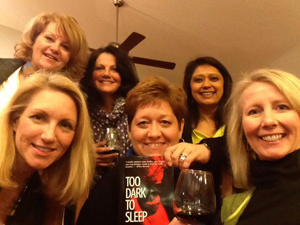 Here's to the ladies who read from Tinley Park! 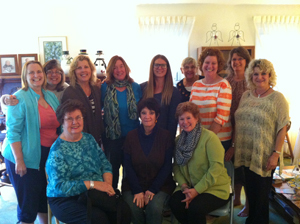 The ladies of the AcsBC club. Fun and Funny.